A rejuvenation is happening at Stormtrack. The forums and the discord are again loaded with like-minded people who all want to discuss weather; specifically storm chasing. The difference now is it’s my generation leading a younger generation into the hobby. This fact will scare the hell out of a few of the veterans who taught us, but it is what it is and it’s happening now. 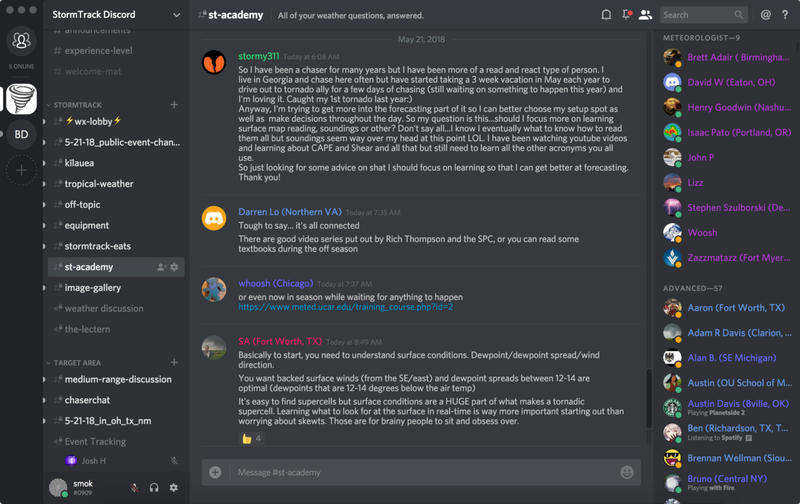 Stormtrack Academy is a popular Discord channel where anyone can type a relevant question and have an educated answer within minutes. It’s where many new chasers are getting their start and experienced folks are learning even more about the hobby. If you’re not yet a member of the Stormtrack Discord, it’s time.